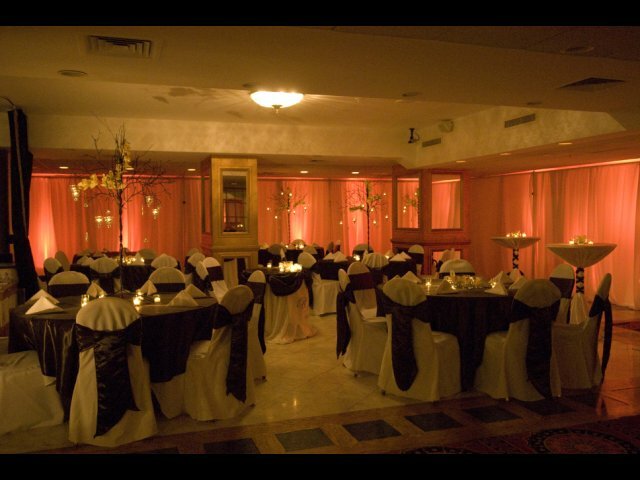 Add beauty and elegance to any event with room accent lighting and custom monograms. 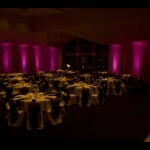 Personalize your colors with thousands of different shades available. 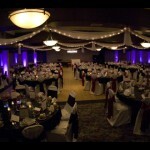 Compliment your wedding colors and create a “wow” effect. 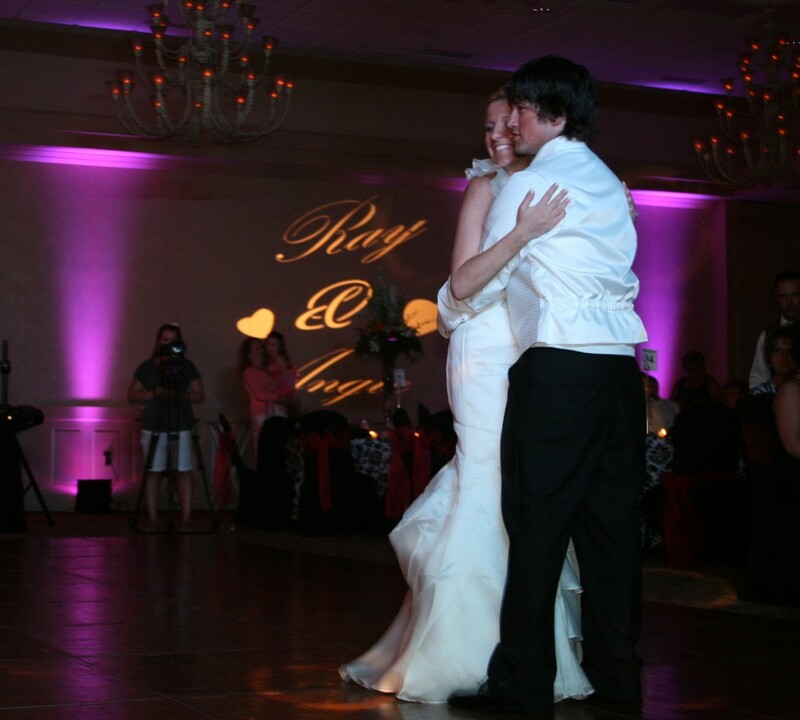 Put your name in lights and show on a wall or dance floor. 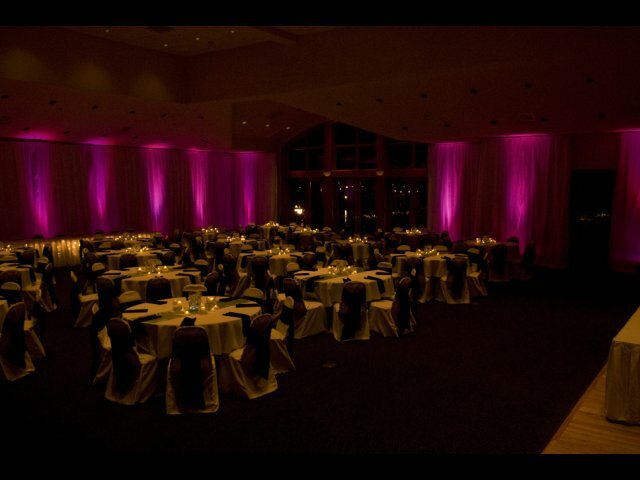 Imagine the room transforming as colors change throughout the night. 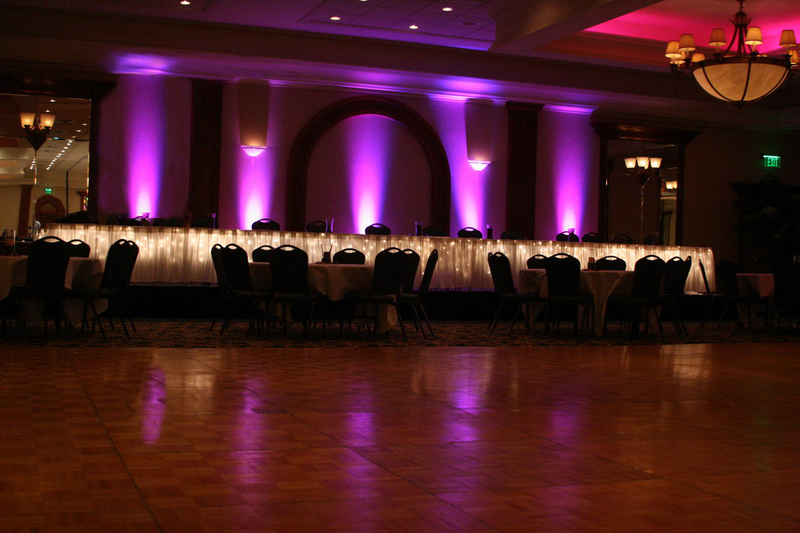 One color during your Grand Entrance, another color during dinner, and gradually fade into a different color when dancing beings. 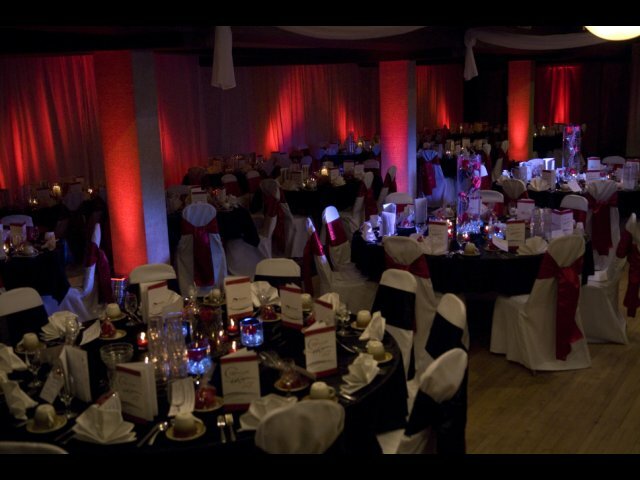 * Above images Copyright by Robert Lawrence Weddings. Unauthorized use prohibited without prior written consent. 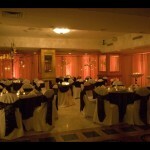 Speciality Lighting effects also available. 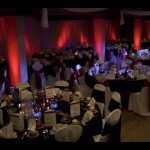 - colors change throughout difference transitions at your event. 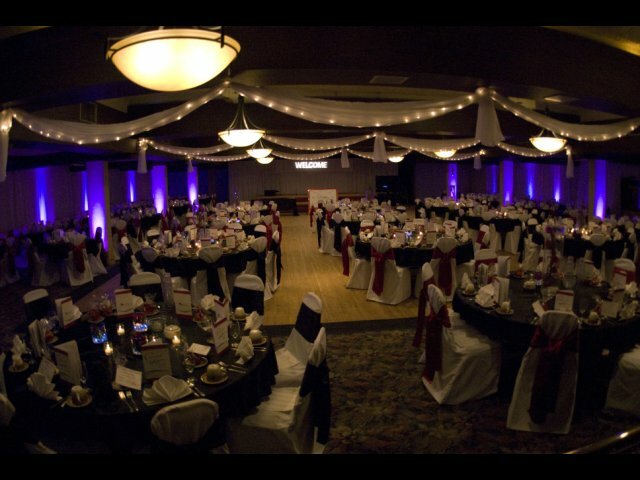 Uplighting from Robert Lawrence Weddings has been featured in the Sempliner’s Bridal show at the Double Tree Hotel in 2010, 2011, 2012, and 2013 as well as the Here Come the Brides Bridal Show at the Soaring Eagle in 2013. You can trust us to make sure the design is done right!